Soul Survivor: A Biography of Al Green by Jimmy McDonough was published by Da Capo Press on August 29th. Music critic Jimmy McDonough seems to have taken that sage advice from Green to heart. Few people who personally encountered the great soul singer Al Green would be in danger of speaking very well of either him or their meeting. For the rest of us, safely at a distance and accessing his soul strictly through the remarkable records he created, he remains a towering figure in music for over the last five decades. 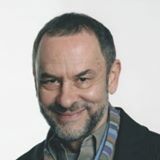 From his first album, Back Up Train, in 1967 to his twenty-ninth release, Lay It Down, in 2008, he has traveled far from his gospel roots through the soul vibe, then suddenly back to gospel in the late '70s, and then just as suddenly back to soul again. All along the way, he’s been feverishly running away from something and passionately running towards something, and often those two were the same something. The dichotomies that link gospel, blues, soul and funk are never-ending. They are the living proof that coal becomes crystal under pressure. They are also, in their cores, different names for the same thing: a head-on collision course between faith and fury. And no one ever exemplified the paradox at the heart of these great African-American musical traditions quite as forcefully as the Reverend, revered and feared Al Green. He was both a gifted genius and a tortured psychopath who personified both the heights and depths of what it means to be a human being. Brilliant and besotted, he was, in the end, almost beyond the ability to grasp it with any real sense of clarity, since his mercurial personality shifted in and out of focus from moment to moment. And few books can qualify for the term “warts and all” quite as much as Jimmy McDonough’s new, breathtaking life of Green. Grasping his shadow and his substance is precisely what McDonough manages to do in his biography of Green, Soul Survivor, newly released this fall by Da Capo Press. 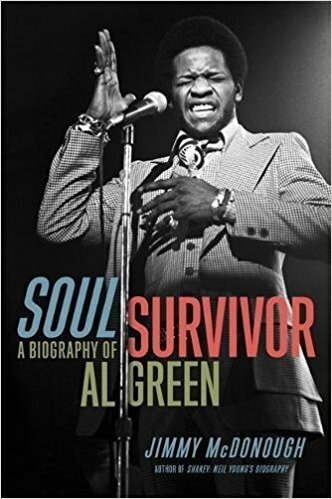 The first feature that struck me was the author’s subtitle, A Biography of Al Green, as opposed to the biography of the man. That might be because there are really hundreds, maybe even thousands, of Al Greens, depending on what vibration he was tuning into on any given day when you happened to either meet him or watch him live in concert. Every so often there comes an opportunity to use a great phrase created by the hippie poet Richard Brautigan, "loading mercury with a pitchfork." That must have been what it felt like trying to write about the many sides of Al Green. McDonough has pulled off the near-impossible feat with considerable aplomb, in keeping with his own ample resume of exploring the wild kingdom and exotic domain of popular music. What he did with, to and for Neil Young in Shakey, his book on the singer-songwriter, he now brings to bear on Green: a guided tour of the inside of the artist’s head. This is far from a mere hagiography or act of worship; in fact, it’s more like a psychoanalysis of the man’s gifts, blessings and curses. Green could be brutally honest, on rare occasions even about himself, as at the time he declared, “I’m a mystery. The people in my own church don’t even know who I am. I’m not really sure if I know who I am half the time.” Luckily for us, the other half of the time he occupied his realm with both reckless abandon and extravagant creativity. The guy was simply crawling with creativity. Bob Mehr, the author of Trouble Boys, encapsulated it when he remarked, “Making the complexities of past subjects like Neil Young seem quaint by comparison, McDonough has taken on the challenge of a lifetime: explaining the enduring mystery of Al Green.” It’s true: he really does scrutinize the inscrutable, and he has compiled a compulsive and disquieting tale by coming face to face with “the mass of contradictions that comprise the Reverend’s life story, as well as the warring factions that continue to battle within his heart and mind.” Robert Gordon, author of Respect Yourself, a study of Stax Records, concurs that by diving as deep as he did, McDonough revealed a man who may not be as beautiful as his voice but who is every bit as astonishing as an artist. 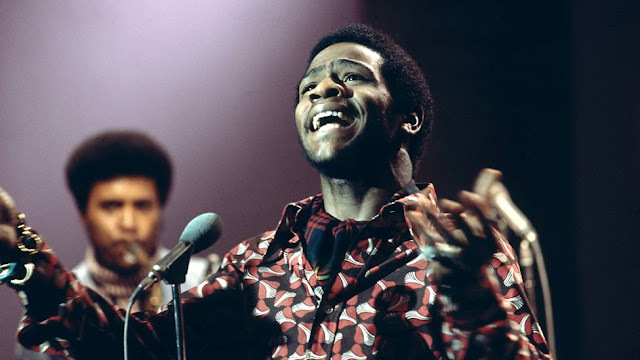 Al Green, the ultimate anti-Brown, was a hyper-romantic artist who put the little Memphis label Hi Records on the map the same way Otis Redding did for Stax, and he was also a highly personable and private explorer of the somewhat softer side of soul, in his lush music if not his life. He was also hyper-stylized and almost androgynous, the same way Prince would sometimes appear to be later in the century they oddly shared. What McDonough does in his masterful biography of the multiple Greens is to position him -- and them -- firmly in the wild flux evolving from gospel to blues and from blues to soul, while also trying to pin down the slippery mercury of his personal demons. He gives us both the angel and the devil inside Al Green, and they are equally fascinating. In writing about Al Green’s career as a consummate soul crooner as well as a conflicted gospel lover via an assessment of McDonough’s book on that inner conflict, I’m also taking the opportunity to explore another larger subject that intrigues me: the mutation of gospel music itself into blues, soul, funk and beyond. “There is a sound that comes from gospel music that doesn’t come from anything else.” Yolanda Adams observed in her Points of Power from 2010. “It is a sound of peace. 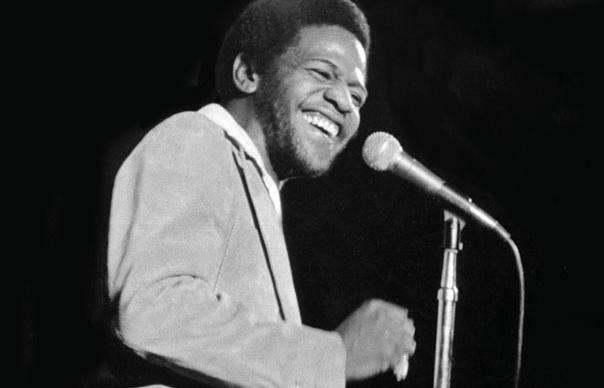 It is a sound of, ‘I’m going to make it through all of this.’” But long before you might arrive at that peace, the strange sage of Al Green at least suggests, not so subtly, that first you’ll have to make a pit stop at plenty of way stations along the road to suffering and perdition. That surreal road trip from sin to redemption and back again was Green’s specialty. Indeed, how he made it through all of this musical brilliance merged with macho mayhem is one of life’s sweet but strange mysteries, maybe even a miracle, if you’re so inclined. 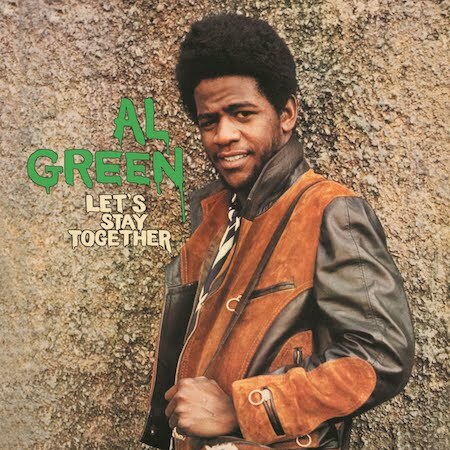 Let’s Stay Together, Green’s fourth album, from 1972. Unlike me, McDonough doesn’t beat around the bush. He wastes no time in getting right to the point in the opening pages of the first chapter, sarcastically called "Talking in Tongues." It’s a serious dive into the heart of the matter at hand and opens his saga by focusing on the attempt by an author, Davin Seay, to help Green write his autobiography in 2000. By that time, Green had already been entrenched in his gospel roots as the pastor at his own Memphis-based church (Full Gospel Tabernacle) after appearing (but only temporarily) to reject the devil’s music of soul and funk and to henceforth exclusively sell the Lord’s sound. Of course, much to his shock, he’d soon discover that the Deity’s sound didn’t quite sell as much as his earlier Grammy-grabbing epistles to love and lust. Even before getting to his childhood, his early life, his first two albums as a blues singer, or his breakthrough as a soul singer extraordinaire, the reader is mesmerized by the turning-point event in 1974 that would interrupt his rise and start a slow backslide into religious fervor bordering on a fanatical retreat from reality. It involved his relationship with a supposedly emotionally unstable lover named Mary Woodson who became enraged when he rebuffed her marriage proposal and attacked him, scalding him with what appears to have been boiling-hot cream of wheat. Shortly afterward she was found shot dead, lying next to one of Green’s many guns. The death was ruled a suicide by the FBI, although many people for years afterward would pin the deed on one of the more deranged exponents of Green’s three personalities. Along the way, McDonough reveals both the greatness and the gravitas of the man, the blinding charisma and gruesome insecurity and guilt all mixed in equal measure, as he carried the deep soul sound of the mid-'60s headlong into the '70s and beyond. He also does a masterful job of placing some of the true credit where it belongs, in the idiosyncratic arms of the one of the greatest record producers in the business, the eccentric and gifted Willie “Pops” Mitchell. Mitchell was Green’s early mentor and creative director and the man who made Hi Records in Memphis a going industry concern largely on the back of this one remarkable singer. He was the one who engineered the impeccable sound and style of the tormented talent we know today as the whacked-out Reverend. In fact, the biography of Al Green is just as much the biography of Willie Mitchell and Hi Records (the chief competitor with Jim Stewart’s other Memphis-based studio Stax Records) as the capital of Soulsville USA. Running parallel to the sometimes sordid tale of a gifted but troubled outsider, McDonough’s insights into the ways that great music is performed and recorded, and how crucial it is to have a compassionate creative collaborator to interpret and deliver your artistic message: this is the true splendor of his study of Green’s place in soul music history. The technical side of capturing the often volatile lightning in a bottle: that’s the reward the reader gets for soldiering on through the frequently harrowing and disturbing scenarios revolving around a lucky young man who seems to have had it all but was always in danger of losing everything if he gave in to some of his obviously dented whims and obsessions. No amount of praying to a deity he assumed was guiding him forward would ever really liberate him from the equivalent demons occupying his own mind and soul. You can start your own church to save other people, as he did in 1976, but that still doesn’t mean you can ever get close to saving yourself. It does seem to be true that Green is a person whose life has been characterized by underlining every emotion, whether it was a good or a bad one. Ironically, he is quick to point out that he returned to the Lord due to an earlier conversion (at Disneyland, for some weird reason) and not because of his violent interaction with the doomed Mary Woodson. Just as peculiar is the fact that Green simply rejects the notion that he has ever been conflicted in any way shape or form. “It can only be one man in here,” he announced to one interviewer. “I’m hard to figure out. Everything everybody want to know about Al Green they already know. I guess I don’t want anyone to know me as well as I know myself.” Well, don’t worry, Al; there’s no danger that will ever happen. McDonough has acknowledged that “I was warned this would not be an easy book to write." Unless there’s money involved, said one person close to Green, most people who have worked for him would rather not relive the experience. 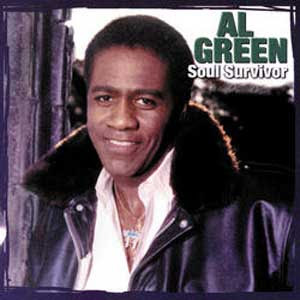 “Make no mistake,” the author confides, “Al Green is hard to figure out. He really does seem to occupy different people, not personas. He is one of the last great mysteries left in pop music.” From the beginning of his strange saga, his birth in the obscure country town of Dansby, Arkansas as Albert Greene, the sixth of ten children, where he was raised on gospel music (“It was put in my cornbread”), through the period when he met Willie Mitchell, whom McDonough refers to not as a producer but as The Reducer (“I know Al Green better than anybody else. I can read that man like a book. I created him”) and catapulted into notoriety as “The Black Elvis” until he put the brakes on a dragged his ragged soul back to church as a freaked-out preacher, this book is a roller-coaster ride of epic proportions. This new profile of Green collects interviews with friends, family, and fellow musicians, in addition to journalistic interviews and anecdotes about the superlative singer. The author takes great pains to omit no detail of this sometimes frightening drama, ranging widely from his early days singing in his childhood church, his rise to fame at Hi Records, his frequently intense and adversarial relationship with his band, his famously trumpeted spiritual reawakening and return to gospel, his seductive and numerous but difficult relationships with women, to his later mutual career as a frenzied preacher. As Publishers Weekly aptly described the finished product, “Green emerges as a gifted singer whose insecurities and inability to live comfortably between the secular and sacred worlds express themselves in his music and his sermons.” That’s putting it mildly, so I recommend that you dip into this book for the deep roots of that paradox. Jimmy McDonough’s biography of Al Green is a revealing study in creativity and conflict, of towering talent and mind-numbing confusion, of astonishing artistry and monumental suffering, all of it packaged in a mystifying bundle of joy and sorrow. Some of the best of Green’s soul music when he was in his prime is just about perfect, even though he’s spent at least half a century trying to outrun his own shadow. These days he spends most of his time in his own boutique church, exhorting other people to straighten up and live right, seemingly uninterested in any of the emotional carnage he’s left in his wake. He apparently once told a reporter, “I really don’t care how I’ll be remembered. We came down and we ascended back up, and we plan to come again. There is no beginning and there is no end, therefore the faith and love in us is eternal.” Paradoxically, so are the faith and fury. McDonough has documented both superlatively.